Fantastic plush pillow version of Mario! One of the Super Mario Bros.' title heroes. 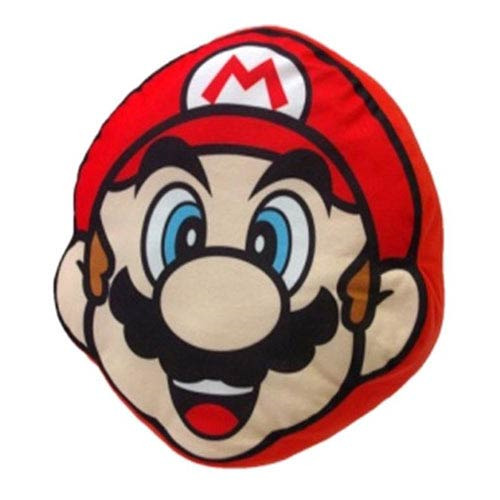 One of the most recognizable video game characters of all time by Nintendo comes to you as an adorable plush pillow! This Super Mario Bros. Mario Plush Pillow makes for one incredibly adorable and huggably soft companion perfect for sleep-time. Circular pillow measures 12-inches in diameter. Ages 7 and up.